Located at Dogo Onsen Town, Enman-ji Temple has a big statue of Jizo, and you can take a grace for long life, avoiding fire accidents and what's more, good fortune for love. 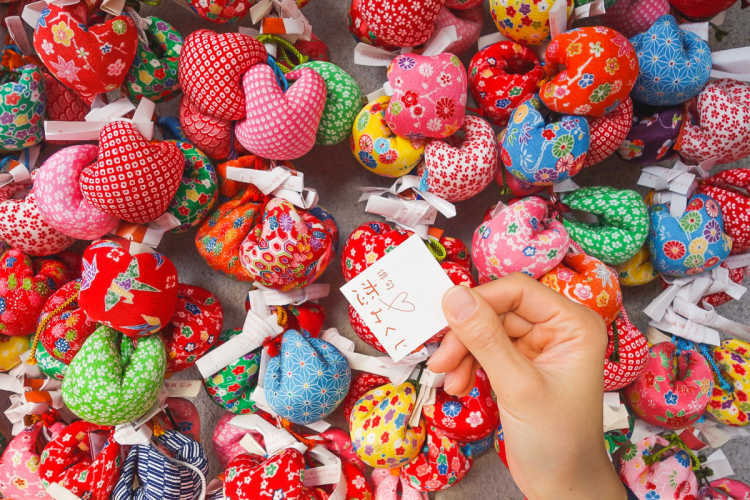 You can make a wish with colorful 'Omusubi-dama'◎Omusubi-dama is 300yen. You should pray with it on your left hand the same as the Jizo, and tie it in the precinct or bring it back to home. 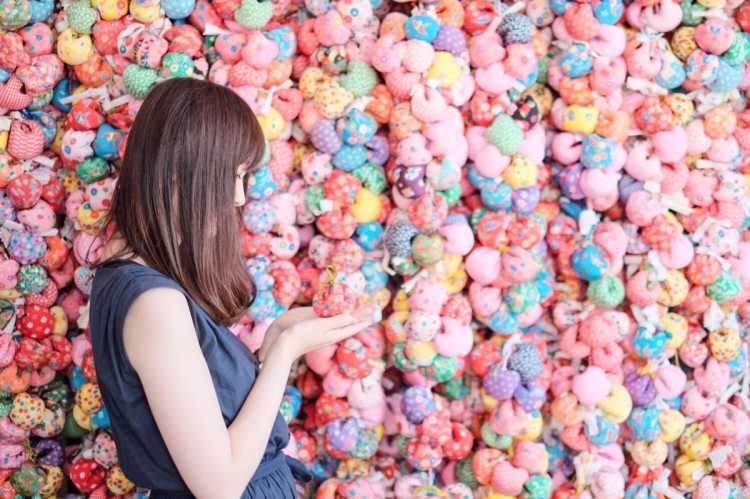 Enman-ji Temple is located on the upward of the slope behind Dogo Onsen, and famous for the colorful wishing-balls. If you hold the wishing-ball on your palm and wish good relationship with others, then it may come true. The temple has been well-known as a lovely spiritual power spot since it appeared in SNS.